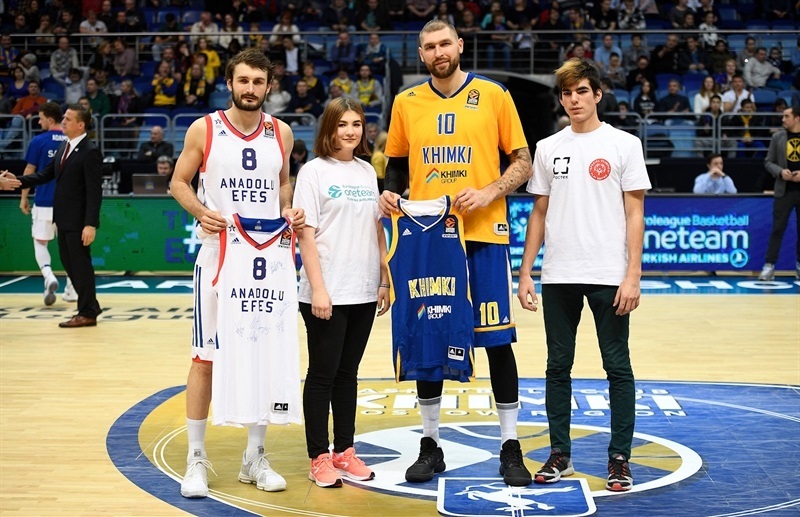 Khimki Moscow Region became just the fifth EuroLeague team to reach eight victories by downing Anadolu Efes Istanbul 86-68 at home on Wednesday. 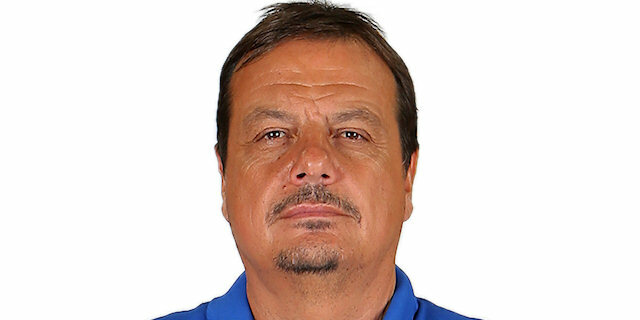 Khimki improved to 8-5 in the standings and Efes dropped to 3-10 in head coach Ergin Ataman's return to the club and the competition. Alexey Shved led the winners with 22 points and 6 assists. 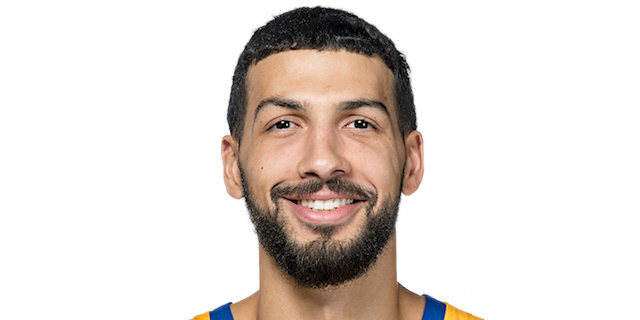 Anthony Gill added 16 points and Egor Vialtsev 12 for Khimki. 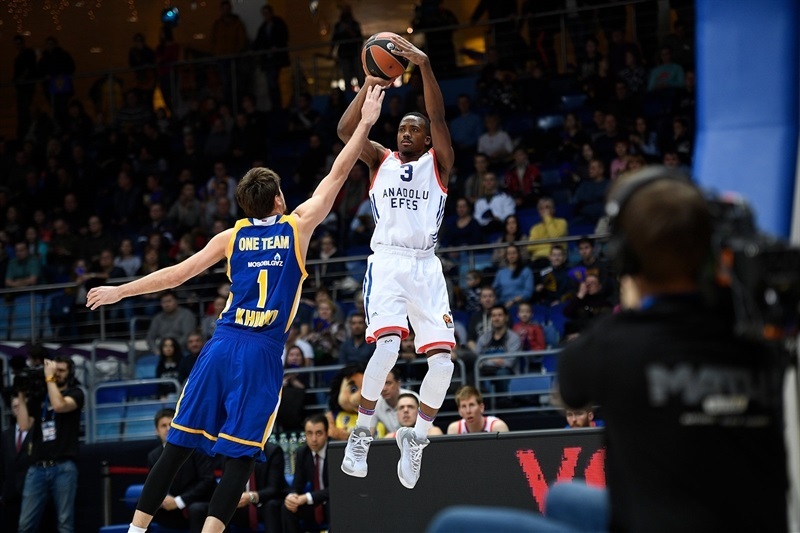 Errick McCollum led Efes with 20 points and Krunoslav Simon added 16. 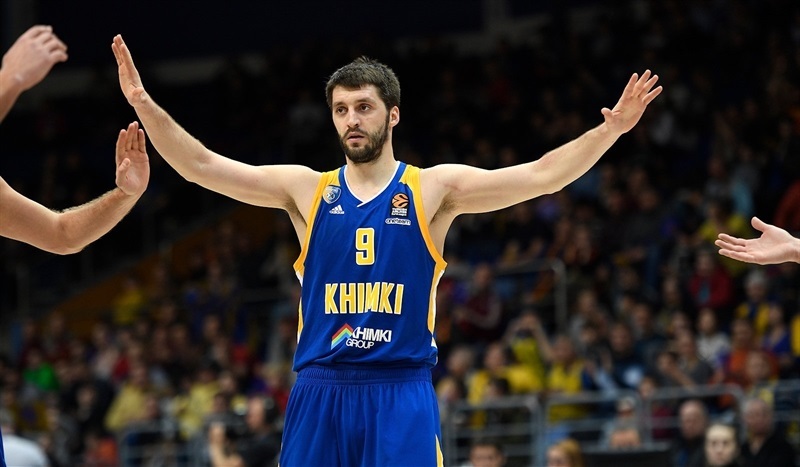 Shved, James Anderson, Malcolm Thomas and Charles Jenkins each struck from beyond the arc in the first quarter, giving Khimki a 26-19 margin after 10 minutes. Sergey Monia also hit a triple to boost Khimki's lead to 32-21. 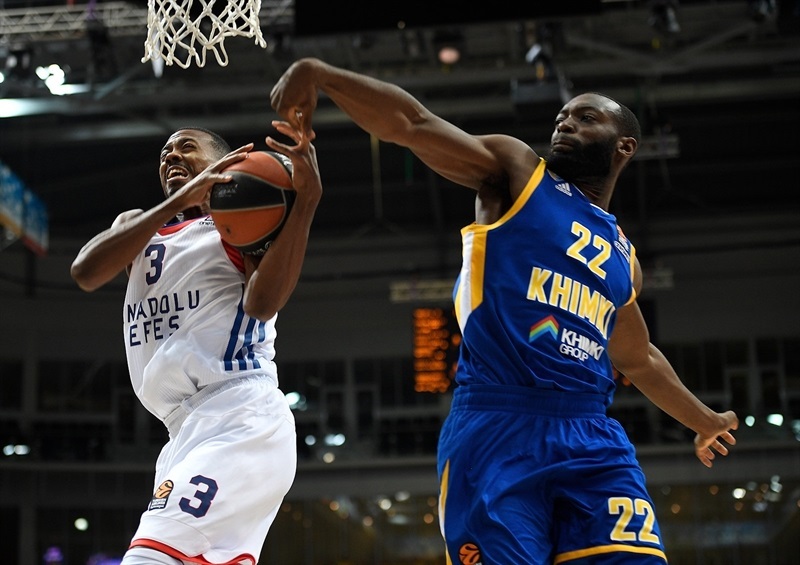 Simon and Bryant Dunston stepped up for Efes, bringing the guests within 37-33 at halftime. A three-pointer by McCollum put Efes back ahead, 43-45, midway through the third quarter. Shved stepped up with 9 points late in the third quarter, getting help from Vialtsev to restore a 57-56 lead after 30 minutes. 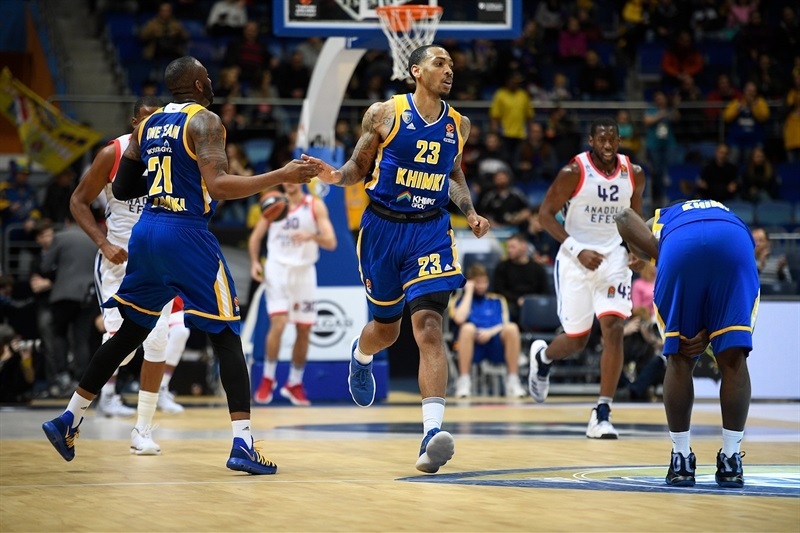 Gill took over early in the fourth quarter as Khimki boosted its margin to 70-58 and never looked back. Shved fed Thomas for a three-pointer and scored off a steal for a 5-0 Khimki lead. 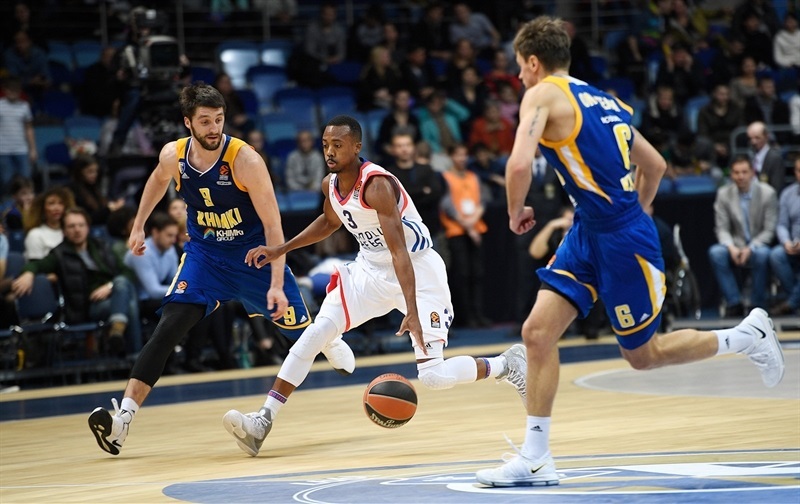 McCollum and Zoran Dragic fueled a 0-9 Efes run but a triple by Shved and a layup-plus-free throw by Gill put the hosts back ahead, 11-9. McCollum and Simon buried consecutive jumpers but Shved, Anderson and Jenkins each struck from downtown for a 20-13 Khimki margin. 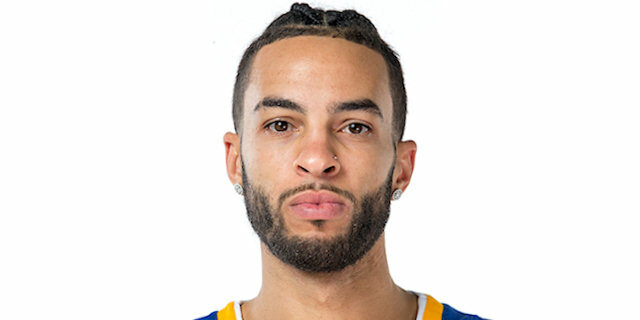 Dunston and Simon tried to change things for the guests but Gill hit a jumper, Thomas added a one-handed alley-oop slam and Tyler Honeycutt dunked to give Khimki a 26-19 lead after 10 minutes. Vialtsev and Sergey Monia joined the three-point shootout to make it a double-digit game, 32-21, early in the second quarter. Simon and Vladimir Stimac scored down low and a jumper by McCollum made Khimki call timeout at 35-27. Dunston scored again and free throws by Dragic and Simon brought Efes within 37-33 at halftime. 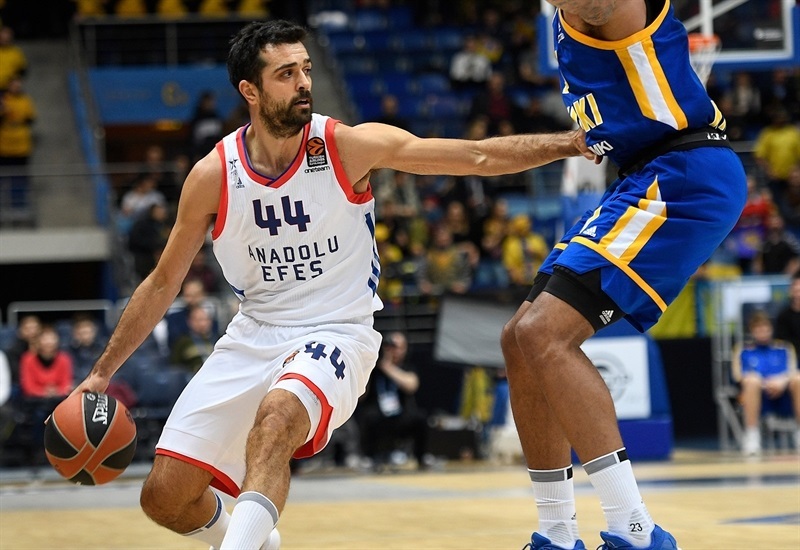 Gill took over with a three-point play and Shved hit a triple off a screen but Simon singlehandedly kept Efes as close as 43-38. McCollum had 6 points in a 0-8 run that let the guests regain the lead, 43-46. Shved struck twice from downtown and Vialtsev also hit one from beyond the arc for a 52-50 score. 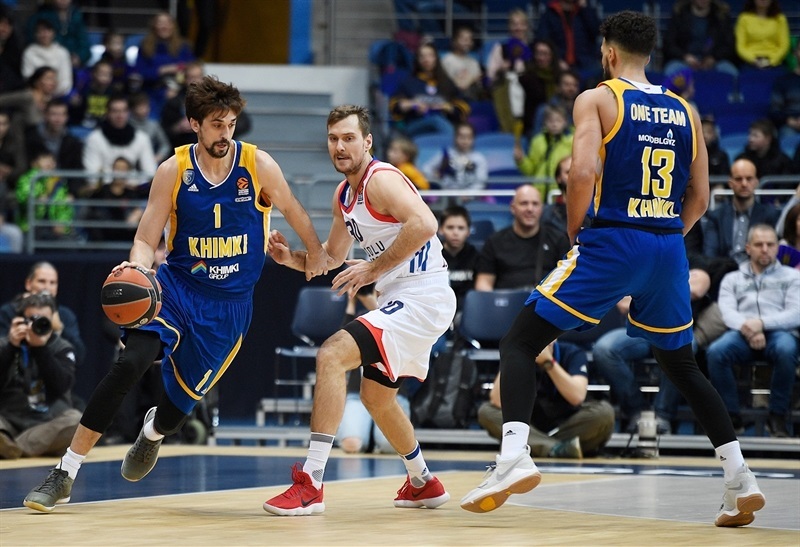 A red hot McCollum followed a three-pointer with a jumper but Shved and Vialtsev gave Khimki a 57-56 after 30 minutes. Gill stepped up with a layup and a triple early in the fourth quarter and soon added a three-point play for a 65-58 Khimki lead. Vialtsev hit a jumper and Monia added a couple of triples that sealed the outcome, 75-61, as Efes never recovered. Both teams play again on Friday. 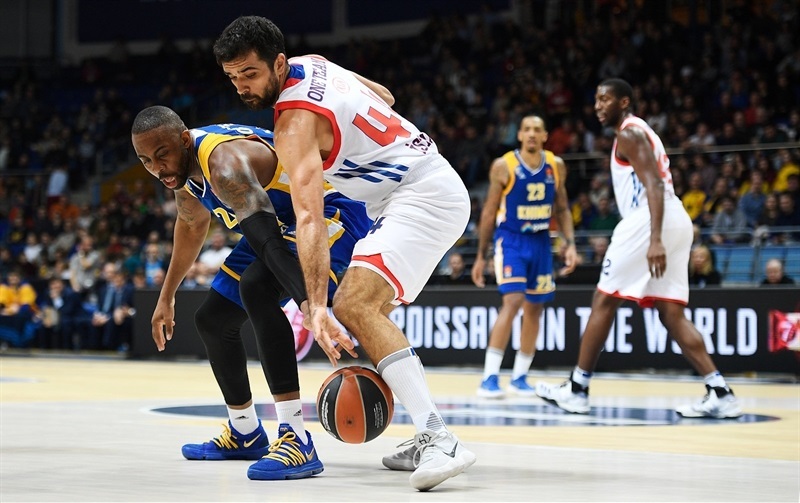 Khimki visits cross-town rivals CSKA Moscow while Efes hosts Olympiacos Piraeus. "First of all, every win is very important and this was a dangerous game for us tonight. During the game, we also missed (Marko) Todorovic with an injury and have a lot of problems right now with our injury list, but we managed to win this game. Like I said, every game is very important. I think we played much better in the second half on defense and finding open shots that we made. I enjoy [coaching Alexey Shved]. Sometimes, he needs to be a little bit more under control, but this kind of talented players, they are fun to watch for fans. For coaches, he is a big weapon but somehow you need to control him sometimes." "We played good basketball in the first three quarters and were successful controlling the game on offense. We used well our pick-and-roll offense and found easy baskets, but all game, also in the fourth quarter, we allowed a lot of three-point shots. Most of them were really difficult shots. Monia's shot close to halfcourt and Shved's shots, we know that he can hit those shots, but many shots over hands. Finally, I think that Khimki played an excellent game, especially on three-point shots. If you score 17 three-point shots at 48%, it is very difficult to beat this kind of team. We missed a lot of easy shots, especially in the beginning of the second half, with Brown and Dragic. 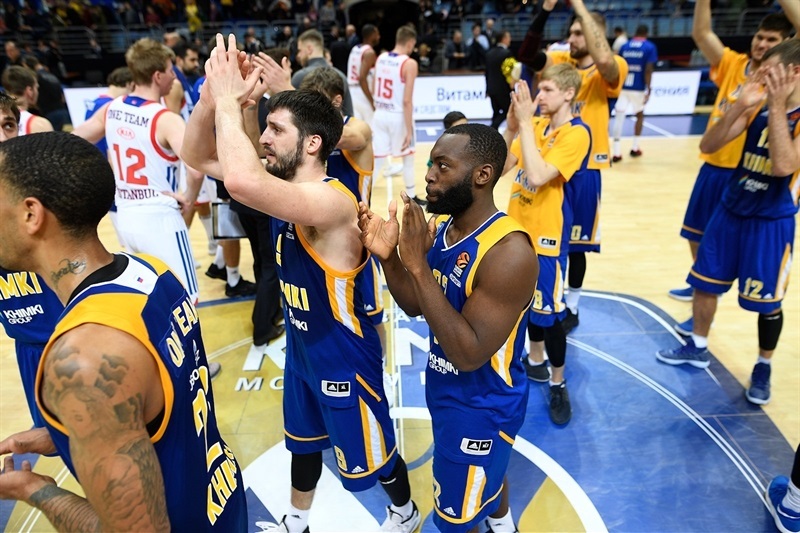 Khimki made them and in the last quarter, they broke the game." "I think in the fourth quarter we started playing really hard on defense which gave us really good options in offense. We passed the ball; we moved the ball really well finding open shots and made easy baskets. Yesterday I went to the orphanage and it was excited to see those guys tonight. I’m glad they came to our game. They really made me happy to see their joy." "I think we let them go in the game and couldn’t get stops. In the end of the third quarter they had probably ten possessions in a row, got fouled and scored. When we started to stop them in defense, we got a chance to win the game. 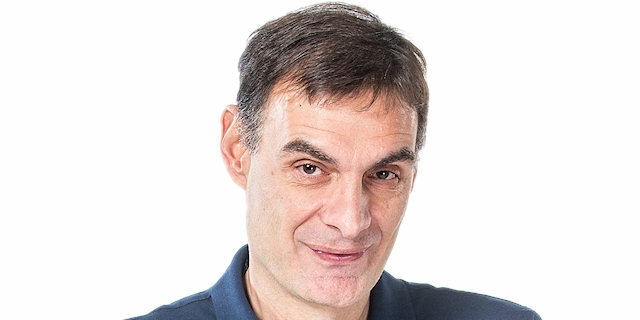 We know they were gonna play hard like every team in the EuroLeague will deliver you problems, especially with a new coach. The guys were motivated to show their best play. I think they did a good job. We didn’t want to underestimate them as we knew the coach would give freedom to some guys who tried to take it upon themselves trying to win the game. Also, I was happy to see my ex mates as I had a good year with those guys." "We played much better than the last one, the loss in Malaga. We played together and moved the ball well. Everybody took open shots and this is why we won. We played great in the fourth quarter and this is a great win for us, an important one. I don't really care about [the scoring title] and I am not following it. Sometimes the guys tell me in the locker room but I don't really care. It is better to win the game that look to score a lot."